For a limited time, you can start the Scandalous Spinsters series for FREE in e-book! If you’ve been dying to read about the very scandalous Alexander family and their friends, now is a great time to start. 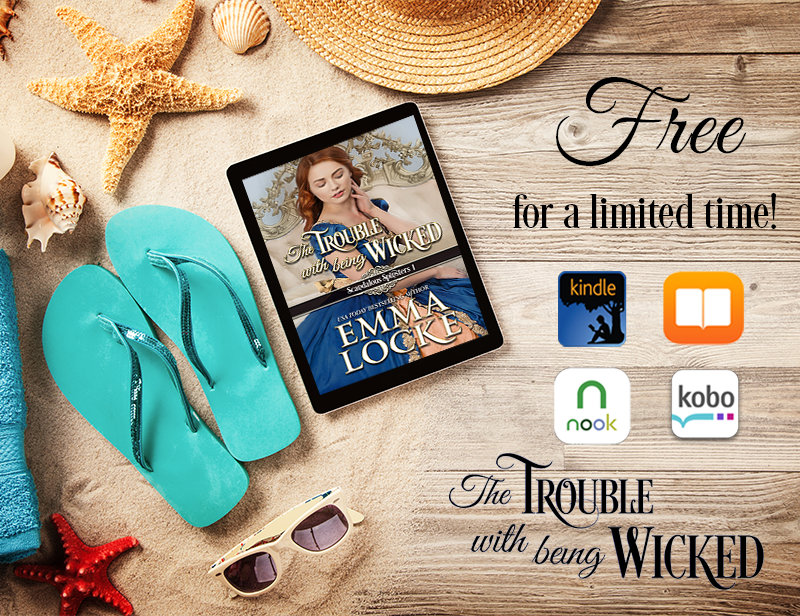 The Trouble with Being Wicked is the first book in the series, and while it is a standalone, you get to meet characters that are in the other Scandalous Spinsters books, especially next book, The Problem with Seduction. And while you’re at it, don’t forget to pick your free copy of A Game of Persuasion too! What are people saying about The Trouble with Being Wicked? ← New covers, and a new series title!